Dinosaurs consumed stones as digestive pills more than 6.5 crore years before in the Narmada Valley, a researcher has said. Apart from eggs, Fossils of the extinct dinosaurs we have picked up have 120 small shining stones of 2.5 diameter, in neighboring Dhar district, Mangal Panchayatan Parishad chief Vishal Verma said yesterday. A Physics teacher, Verma said his parishad was doing investigate for the last couple of years in Narmada Valley and they have come across evidences that dinosaurs swallowed small stones as digestive pills. Toothless birds, too, swallow pebbles for digestion .Verma said that the stones hit each other and facilitate the food grinding process. The herbivorous dinosaur used to swallow unique type small stones to digest food, Verma said, adding these animals were 20-30 feet tall. 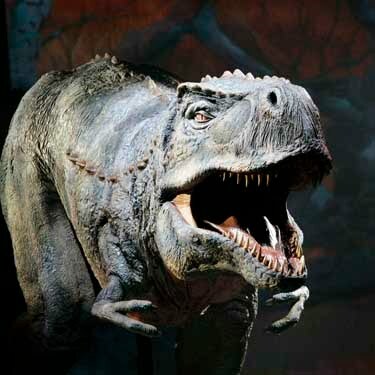 The Dinosaurs' mouth is too small compared to their body. Their teeth also wasn't too long following which chewing was hard practise for them, he said. The researcher said the female Dinosaur eggs are laid in the sand.The general impression that dinosaurs took ample food was not right. Their eating habit was alike pythons, cold blood and sluggish metabolism.